Automatically enrol all Eligible Jobholders. Communicate to workers providing timely and appropriate information. Allow Non Eligible Jobholders to Opt-in and Entitled Workers to Join. Facilitate Opt Outs within the opt-out period and promptly refund contributions. Automatically re-enrol all eligible jobholders every three years. Complete registration with the Pensions Regulator. Must not induce workers to opt out or cease membership of a scheme. Must not indicate to a potential jobholder that their decision to opt out will affect the outcome of the recruitment process. As you can see, setting up the scheme by your Staging date is just the beginning. 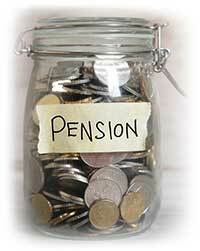 Auto Enrolment Pensions Advice to Employers is provided by Premiere UK AE Ltd. Premiere UK AE Ltd are Auto Enrolment Pension specialists. Our services are designed to help employers meet their new responsibilities and duties imposed by the new Auto Enrolment legislation with a minimum of fuss and disruption. We will make sure you comply with all your responsibilities at a competitive price.